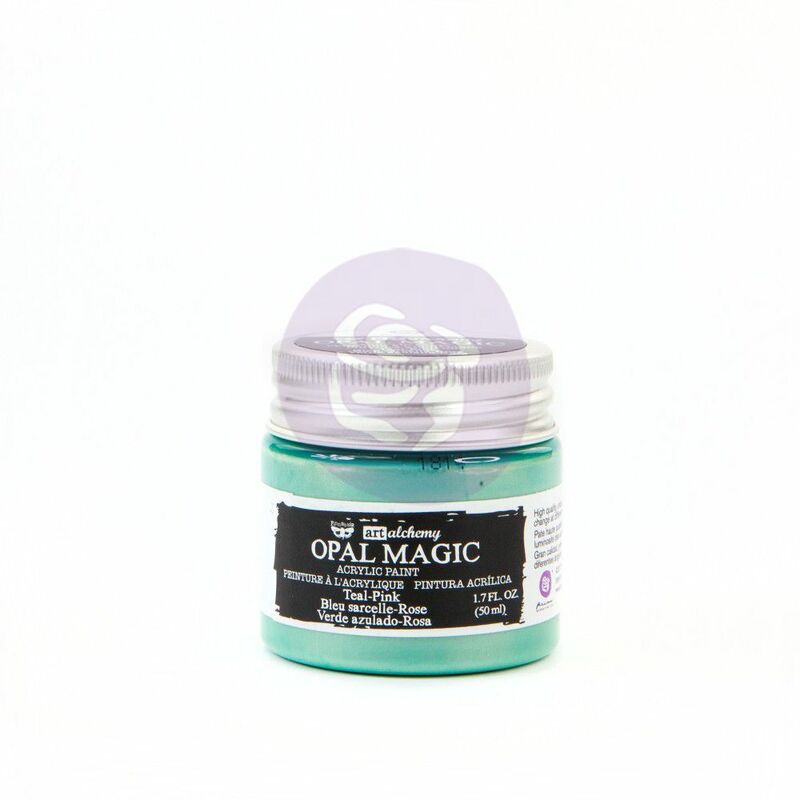 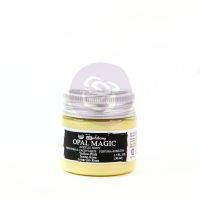 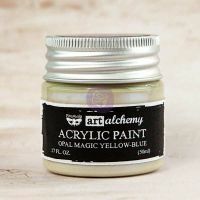 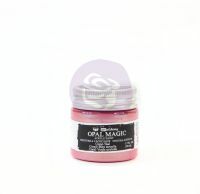 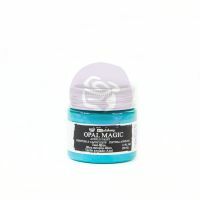 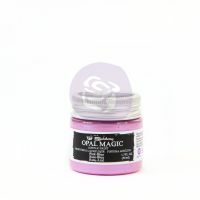 Art Alchemy Opal Magic Paint is a super special paint! 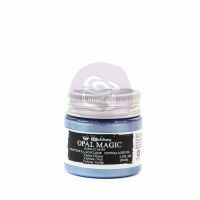 This paint is high-quality, with a unique two-tone, iridescent effect, water-based acrylic paint. 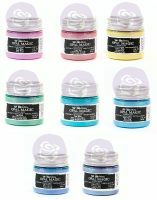 PLUS it that CHANGES tone from different angles AND changes color when painted on a white surface or a black surface. 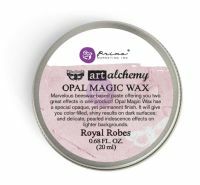 And, because it is permanent after drying, it is perfect for all of your projects! 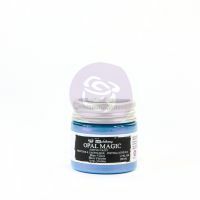 Finnabair outdid herself with this two-colored paint.